Add a sturdy and stylish TV stand to your living room with this solid wood 80 inch TV stand. 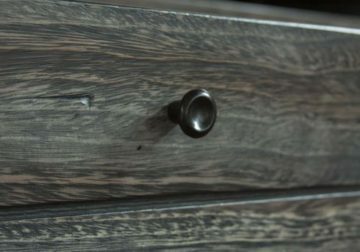 Two doors, three drawers, and two open media compartments provide plenty of space for all your favorite movies, video games, music, and media playing devices. 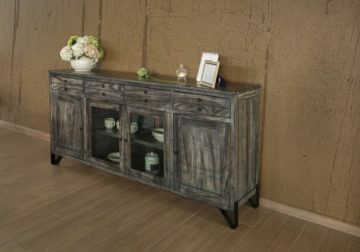 Clean linear design, hand wrought iron feet, and a warm gray stain combine to create a clean modern look that will elevate the design style of any home. 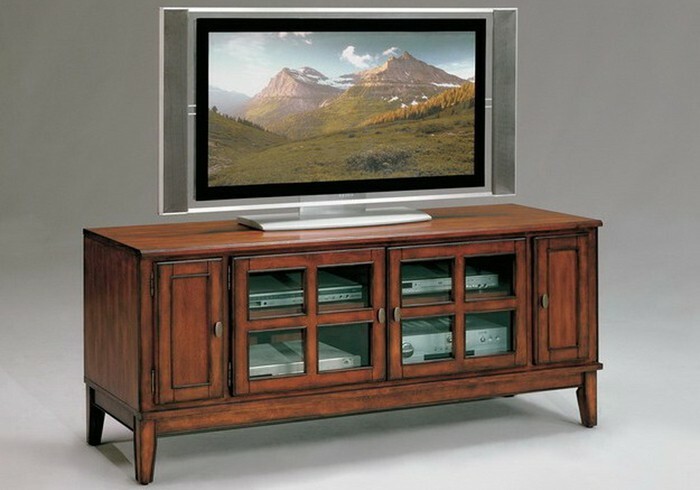 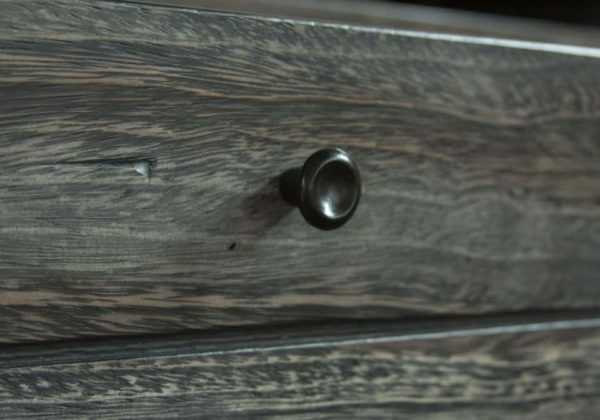 Solid wood construction ensures that this TV stand will remain an integral part of your living room for years to come.